We found that we really liked the new 2015 Santa Fe with its renewed steering and handling as well as its far more upscale fit and finish. In the past, we’ve been unimpressed with this crossover, but it’s really come into its own and hit the mark squarely with the new-generation. 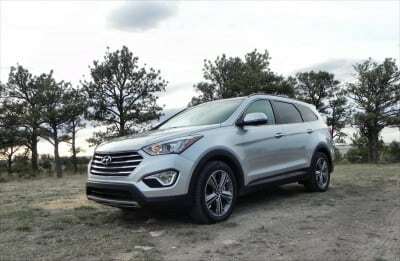 In previous renditions of the Hyundai Santa Fe, we’ve always felt that it felt a bit cheap and handled without any engagement. 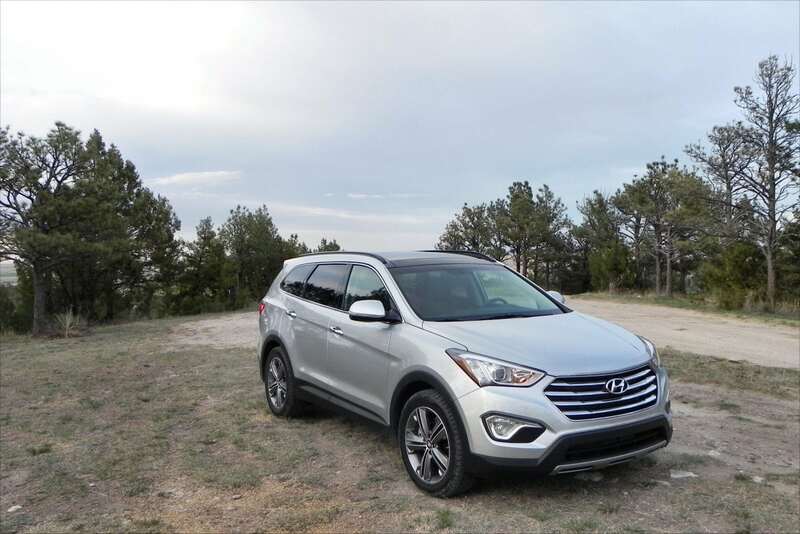 Now, though, we’ve changed our tune as the 2015 Hyundai Santa Fe is a far more modern, well-appointed, and interesting vehicle than it’s been before. 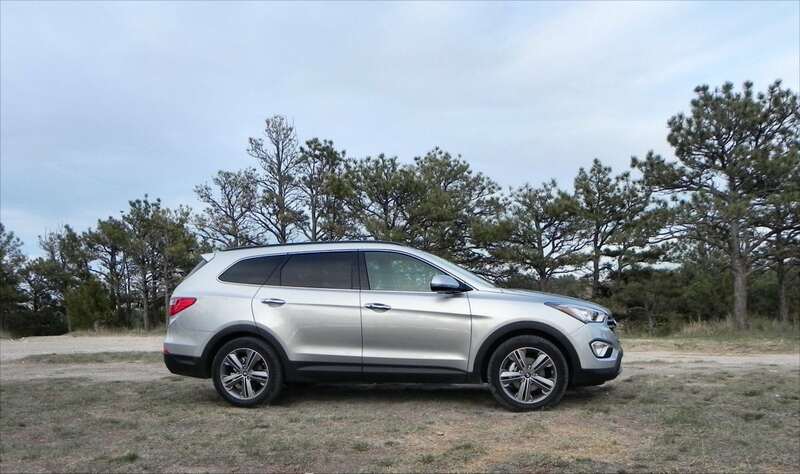 With contemporary styling hiding the excellent handling and beautifully-designed interior, it may be easy to miss what the Santa Fe has to offer. 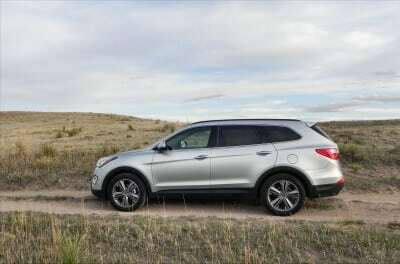 For shoppers in the small to midsize, three-row crossover segment, there are a lot of great options to choose from. The important marks of fuel economy, daily use ergonomics, and quality interior materials are all hit squarely by the 2015 Santa Fe. 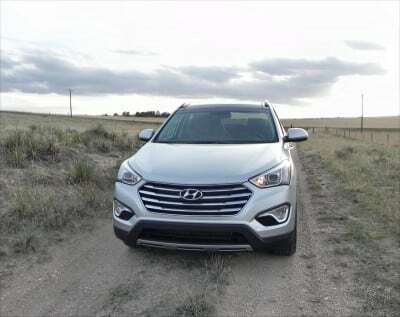 For those looking for two rows instead, and perhaps slightly better fuel economy, the Santa Fe Sport is worth considering. 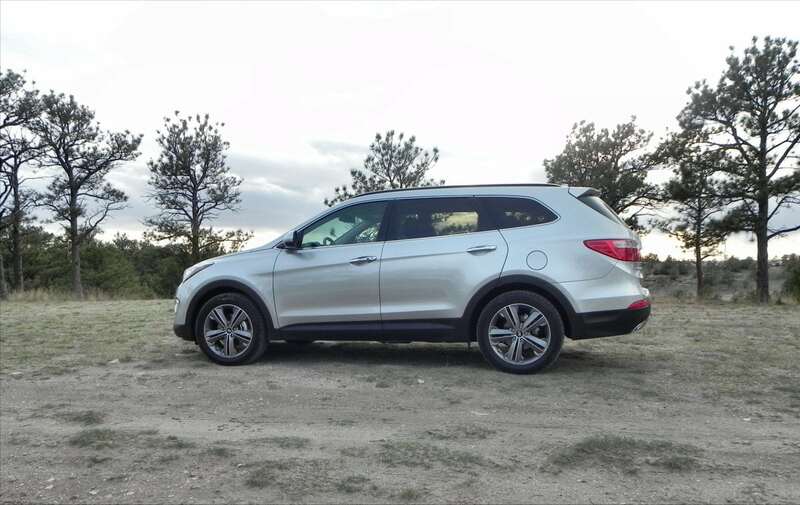 The Santa Fe has a much more forward-looking exterior look than it’s had in the past. 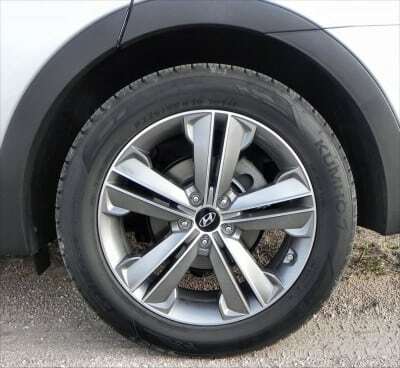 The overall impression is of motion and movement, with a slightly upward-tilting character line along the doors to the rear quarter and a rounded, protruding front fascia and grille pressing forward. The roofline continues this motion, curving up just behind the windscreen and then tapering down as it goes back, the integrated roof rails following. Meanwhile, the belt line follow this same trend, going upwards to narrow the greenhouse a bit and give that fast front, narrow rear look. 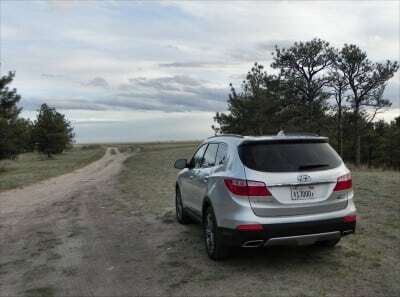 It’s a great style and brings a lot of appeal to the Santa Fe. For 2015, some great wheel options can be had, such as the five-spoke wheels on our test model. Our tester also included the Ultimate Package ($4,650), which adds HID and LED lighting, a beautiful panoramic sunroof, premium door sill plates, and an “Ultimate” badge on the liftgate. 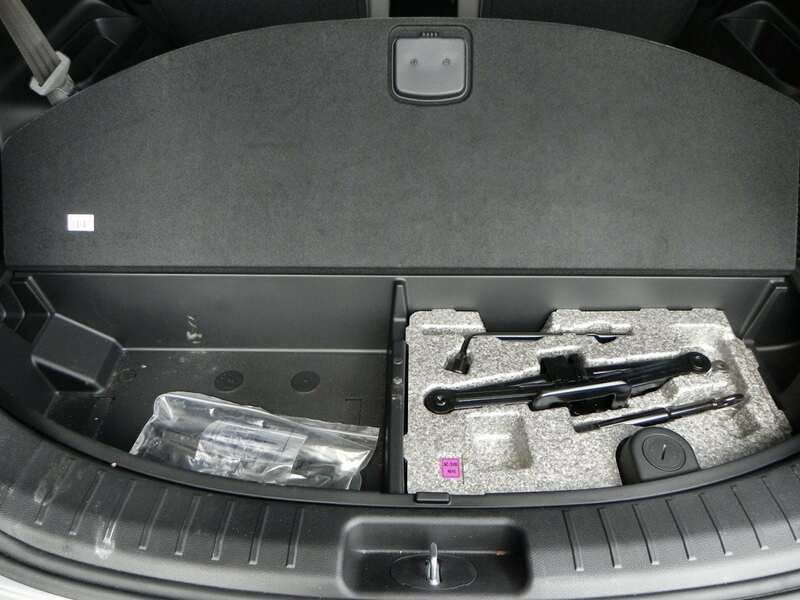 Other updates from this package are to the interior and driver’s aids options. 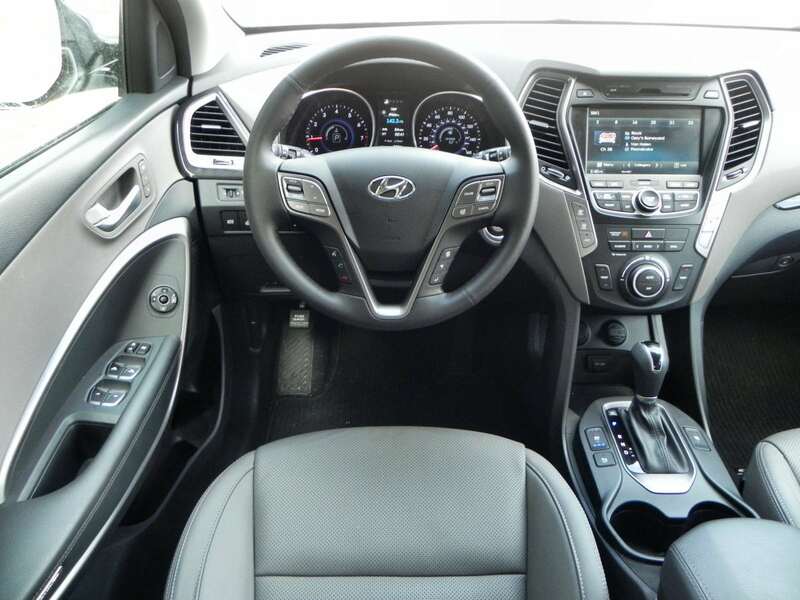 The interior of the 2015 Santa Fe is very well done. 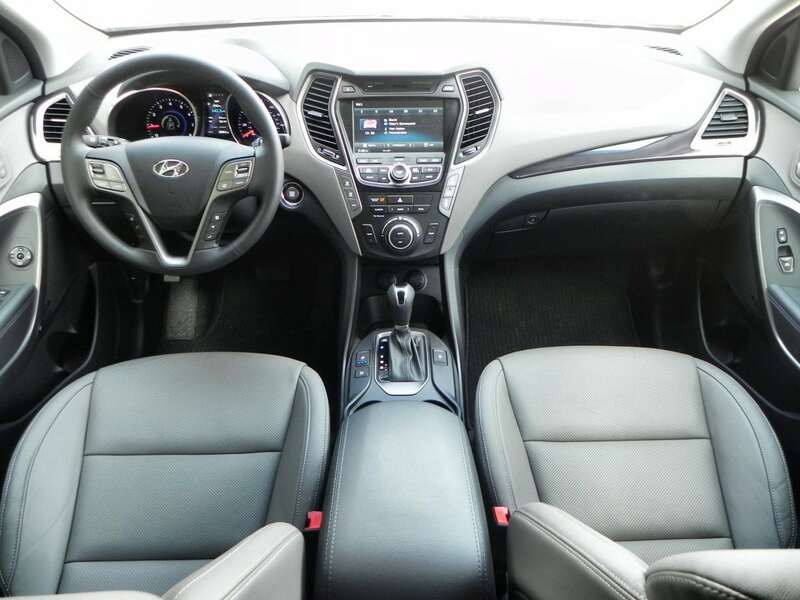 Contemporary style meets futuristic spaciousness in a good way here, with comfortable seating and a thoughtful layout. The front seats are nicely padded and bolstered and have plenty of adjustment. The center console has been shrunk a bit to give the driver more leg and knee room, a real boon for us taller folk. 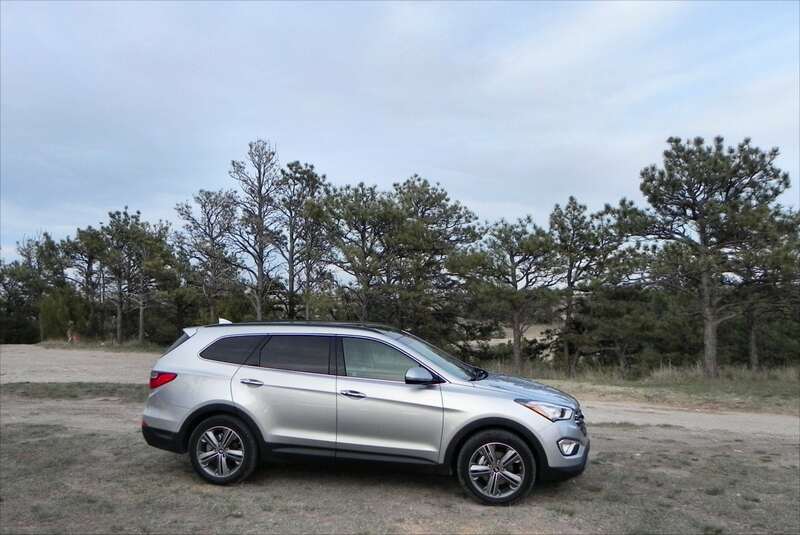 Headroom is great, though without the adjustable driver’s seat that moves down about an inch, this might be an issue if the panoramic roof and sunroof option are had (they infringe on head space). 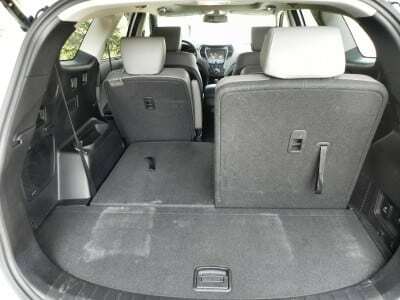 Rear seating is very good as well. It’s adjustable and well-made. 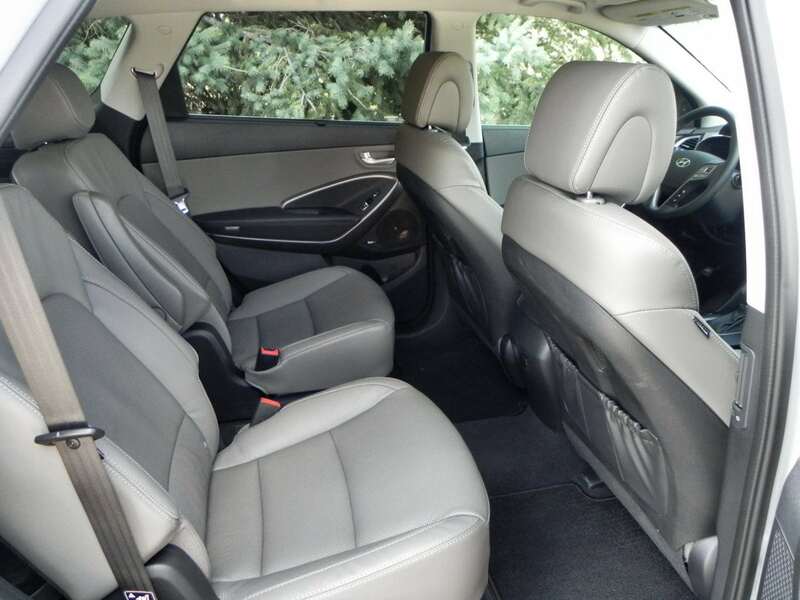 Carseats, children, and adults all fit well here. Taller people may have some legroom issues, but not badly so. Headroom is excellent despite the sloping roofline. 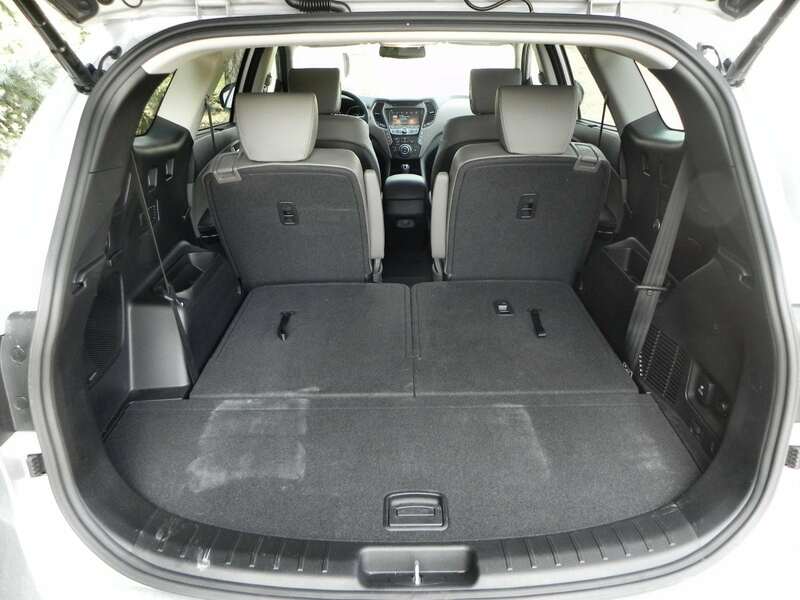 In the third row, which is readily accessible thanks to smart second row folding options, children and young teenagers will do well. Cargo space is good in the Hyundai Santa Fe. With the third row up, as with most in this segment, cargo space is limited to a couple of pieces of luggage. With the third row down, it grows to 41 cubic feet, which is better than most, and to a massive 80 cubes with both the second and third rows folded down (they go flat). That’s almost enough to park a Smart car inside the little Santa Fe. The Ultimate Package (see above) also gave us navigation with an 8-inch touchscreen, a 12-speaker Infinity stereo, memory functions for seating, rear park assist sensors, a heated steering wheel, and much more. 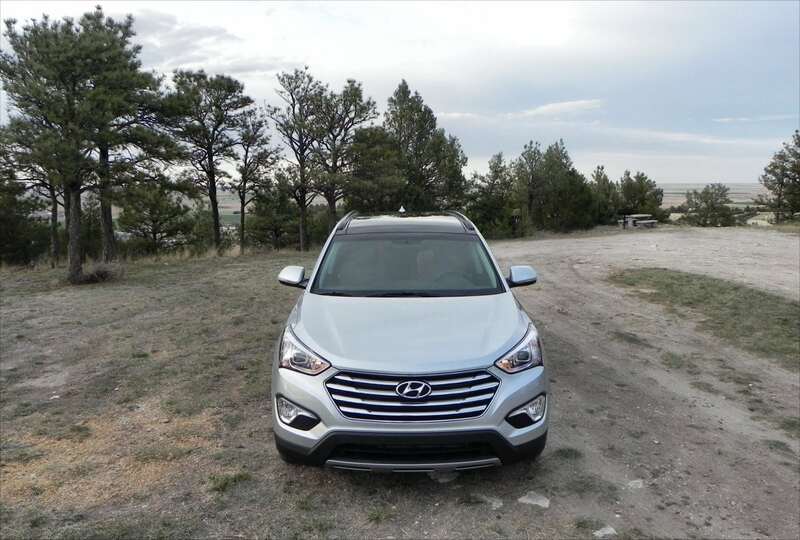 As a total package, the Ultimate gives a lot of bang for the buck, despite its steep price tag. The 2015 Santa Fe is powered by a 3.3-liter V6 that produces 290 horsepower and 252 pound-feet of torque. 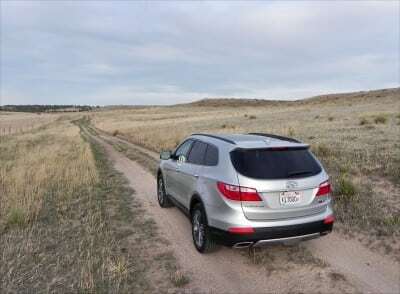 In front-wheel drive models, this goes through a six-speed automatic transmission. In all-wheel drive models (as we drove it), this travels through the same transmission with a differential. 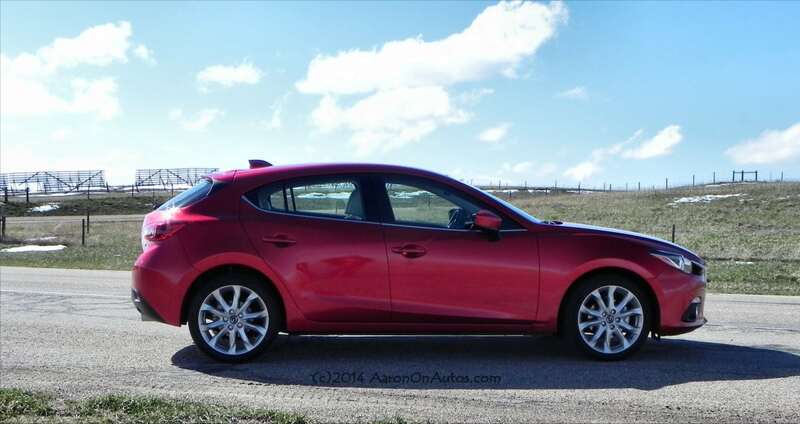 Fuel economy is good with the EPA rating the FWD model at 21 mpg combined. 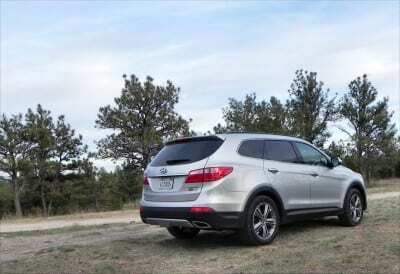 The AWD model is rated at 20 mpg combined. The Ultimate Package, however, drops both those figures by about two points to 19 and 18 respectively. In our highway-heavy week of driving the all-wheel drive Santa Fe, we averaged about 19 miles per gallon, proving out the EPA numbers. 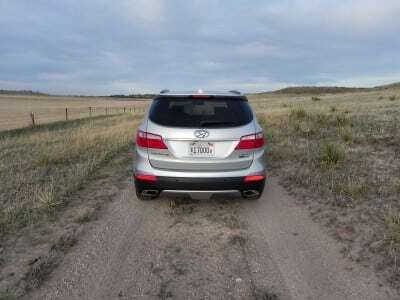 The V6 engine might seem like overkill to some, but it’s a peppy, well-mannered offering, especially given the excellent shift dynamics of the transmission and the quiet ride of the cabin. 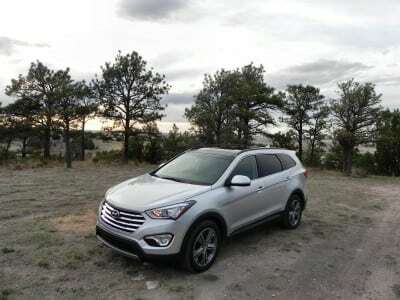 Handling is tight and sporty for a crossover and the Hyundai Santa Fe just feels well-made and capable, lending confidence. Acceleration is a key goodie in this new Santa Fe. The 2015 model got up to speed and conducted passing on the freeway without hesitation. Yet with all this confident power, the 2015 Hyundai Santa Fe still rides smoothly, handles better than it ever has before, and is quiet, even in a crosswind. 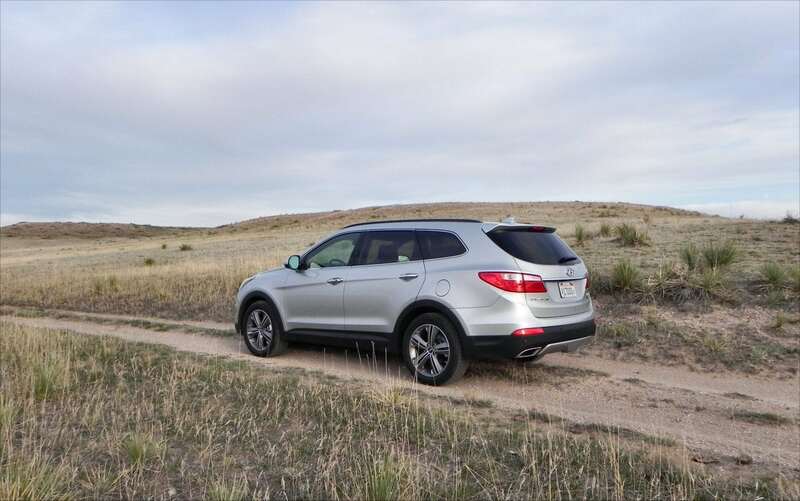 In the field of small and midsize three-row crossovers, there are many great contenders. 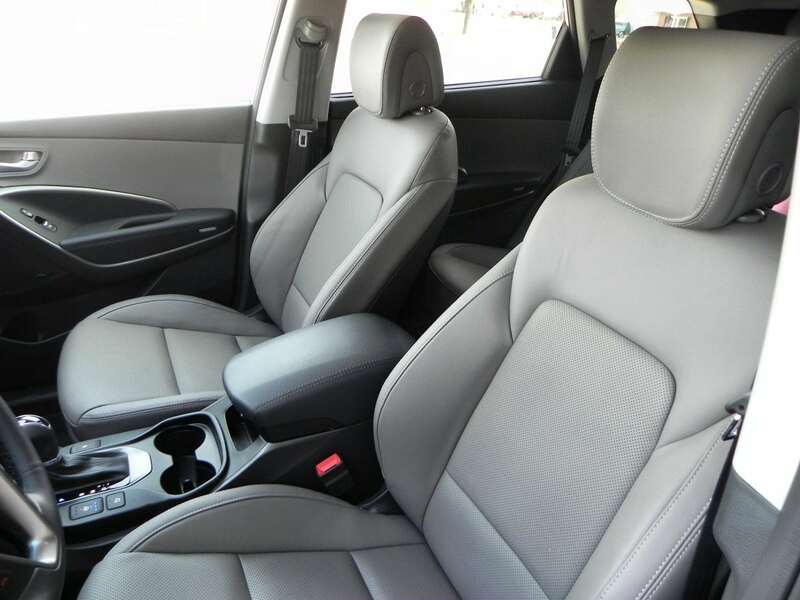 The Dodge Durango is a solid choice, for starters. 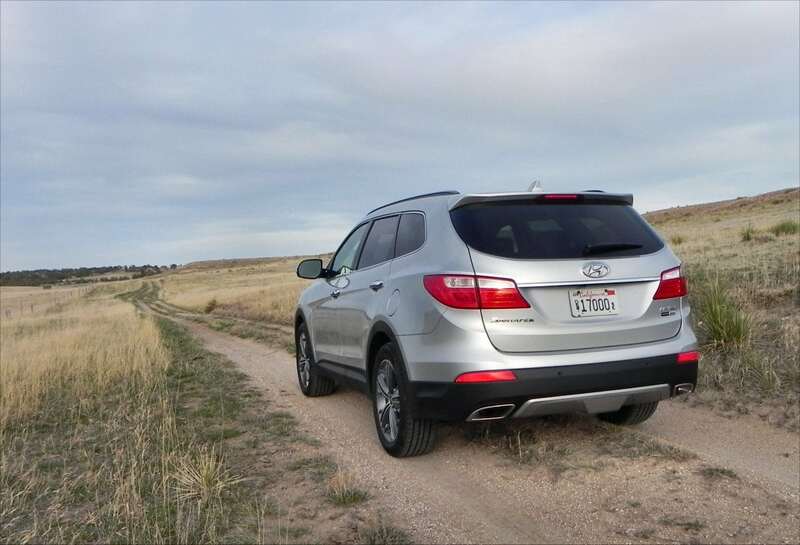 The excellent Kia Sorento is a definite no-brainer as well. 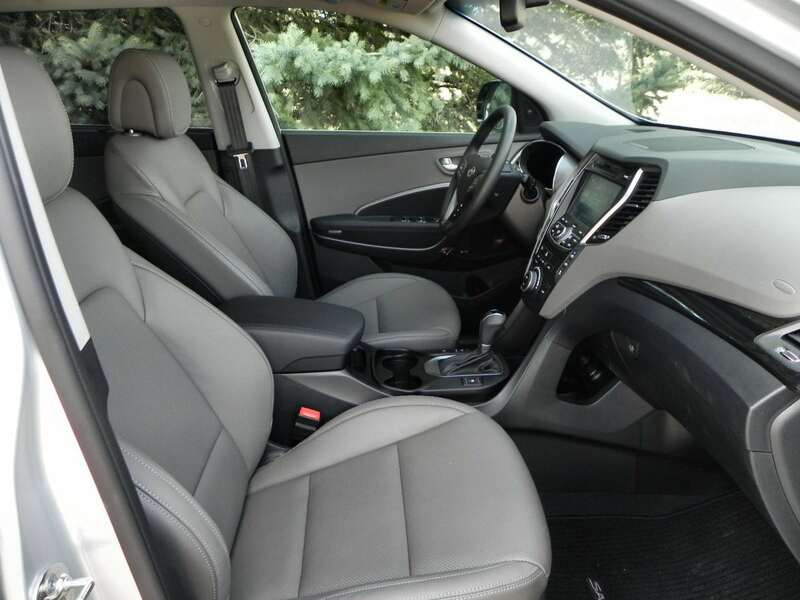 The value of the Nissan Rogue is not to be ignored either. These are just to get started. 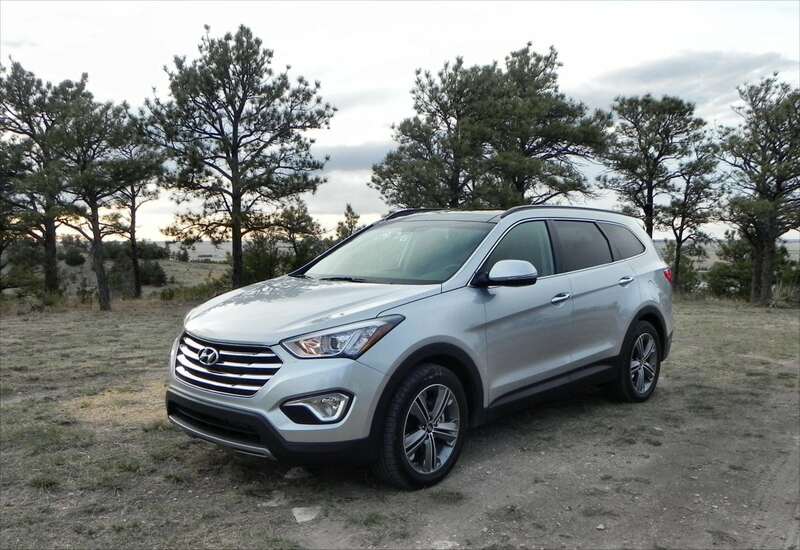 We thoroughly enjoyed the new 2015 Hyundai Santa Fe and our opinions of this crossover, which were not very good before, did a complete 180. 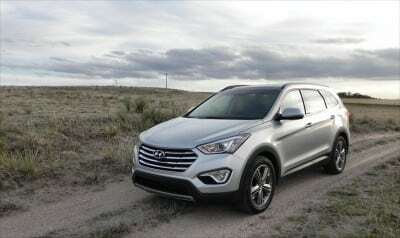 It truly is a surprisingly excellent crossover and a tribute to the improvements Hyundai is making across the board. 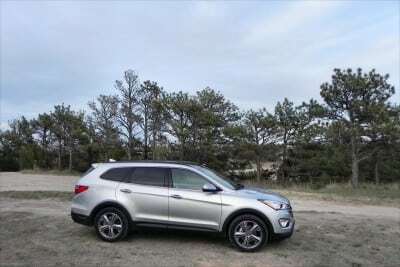 We drove the 2015 Santa Fe as a manufacturer’s test loan for about a week. 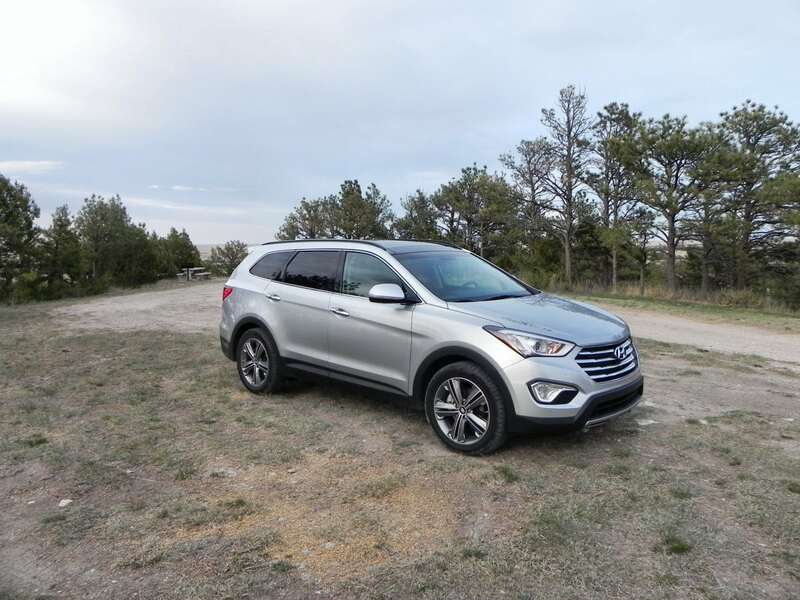 During that time, we put 326 miles on the vehicle in a highway-heavy mix of driving with passenger loads ranging from a solo driver to four adults and two children. Weather conditions varied with sunshine and rain mixed throughout.